The name Secularis is in homage to the trees found in the area, almost all of which are of the Tonda Iblea cultivar and over one hundred years old. 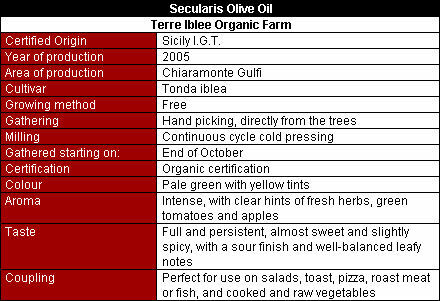 The Terre Iblee farm still follows millennia of tradition: we pick the olives by hand and cold-press them within 24 hours using a continuous cycle system; the oil is then left to decant naturally before being bottled, thus preserving its nutritional qualities and flavour. 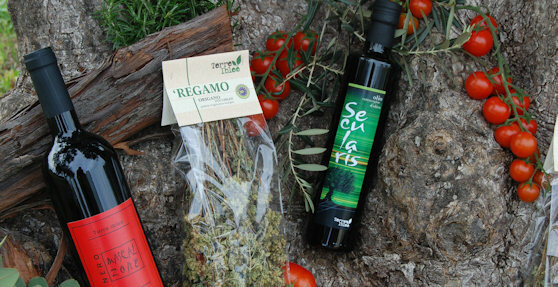 This traditional method and the high quality of the olive plants create a golden-green oil with a perfect texture: a bouquet of spring herbs leads one to a slightly spicy flavour, softened by a delicate hint of artichoke. Our organic raspberries are available from June to December.